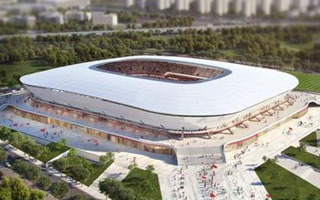 Temporarily called simply Pudong Football Stadium, from the Shanghai district name, this football-specific venue will become Shanghai's largest stadium without a running track when it opens. This means passing the famous Hongkou, China's first football-only stadium and home to derby rivals Shenhua. 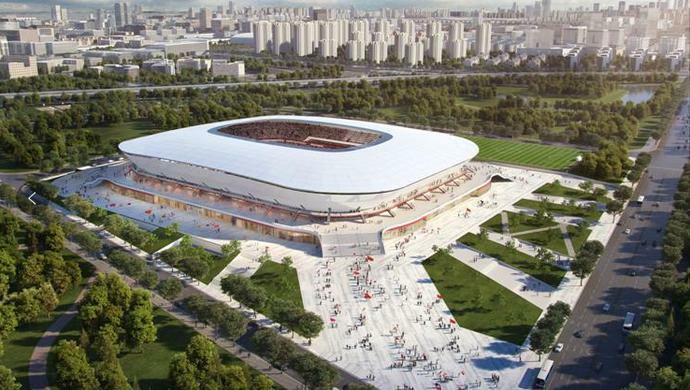 Shanghai SIPG FC are the investor and manager of this stadium. When they announced this project in late 2017, they were just celebrating vice-championship of the country. Early announcements suggest groundbreaking in 2018 and delivery as soon as 2019. 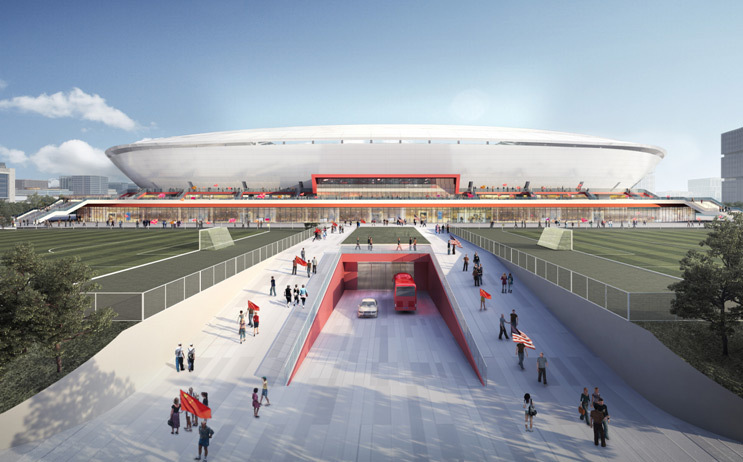 The stadium will be joined by two training fields and surrounded by a wide plinth filled with commercial outlets. Fans enter both tiers of seating from the plinth, entering the sleek and modern arena designed by HPP Architects.